Sensory enrichment for the rhinos: Rhinos are known to have incredibly poor eyesight, which is offset with a very sharp sense of smell. This sensory enrichment project was designed to help the rhinos here to develop their sense of smell as they would in the wild. Volunteers created spice wind chimes which were hung from the trees for them to approach and work out using their sense of smell. Both rhinos kept coming back for more, spending hours sniffing at the chime. Millions of individual sensory cells make up a tiny patch of the rhino’s nostrils, and this was seen as a huge success. Hammocks and swings for primates and bears: Decommissioned fire houses from local fire and rescue departments have been donated to the project to help with enrichments. 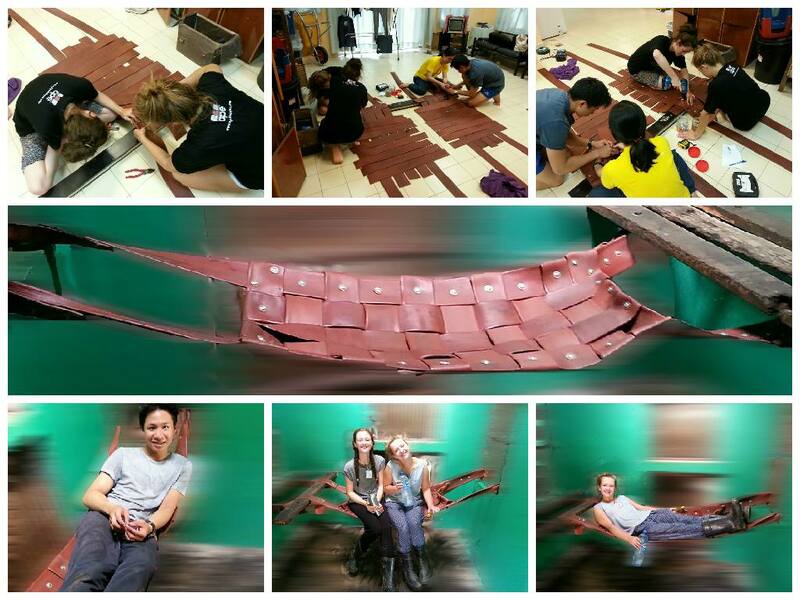 This includes making swings and hammocks for the orangutans, mandrills and sun bears to make use of. These animals sleep up high, and these fire hose enrichments have helped them to live more naturally at the zoo. As you can see, the volunteers have tried and tested them too! Enclosure improvements: Volunteers spent a busy time completely revamping the stump-tailed macaques enclosure. They helped to design and construct new elements of the structure, taking into account husbandry and welfare requirements. Food enrichment: in the Malaysian heat many of the animals here appreciate a cooling and tasty snack! 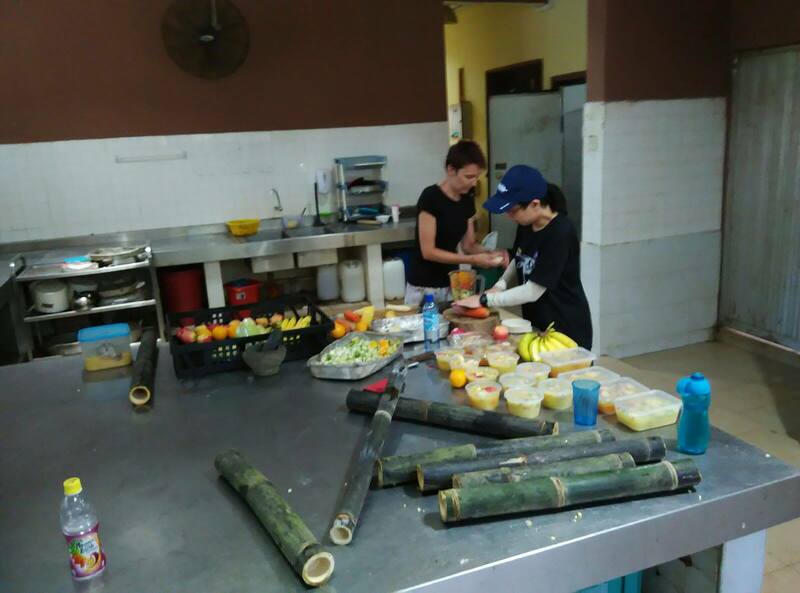 Volunteers helped to stuff bamboo canes with a variety of fruits and then filled them with water and mashed fruits. The bamboos were frozen overnight and then given to the pleased animals. These are just a few examples of the fantastic work being done by our zoo interns in Malaysia.